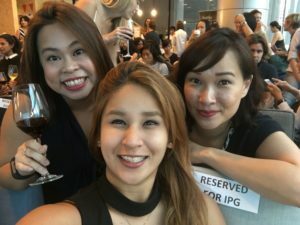 The WLN Singapore chapter hosted a summer event on July 19th titled, ‘Women Cannes’ Lah!,’ a play on words building on a popular Singaporean expression “Can-lah” which means “yes, absolutely.” The event was in partnership with SheSays Singapore, a wider industry group for women in the creative industries, and ‘See It Be It‘, the Cannes Lions program launched as a response to the gender imbalance in our industry. Over 200 women participated in the event , including an excellent turnout from across IPG agencies. Knox Balbastro and Lizi Hamer, both ‘See It Be It’ alumna, had an engaging fireside chat about the Cannes ‘See It Be It’ program and how we can drive forward future female leaders.